The Economist Intelligence Unit Limited 2015 3 Holistic risk management Organisational measures to create a strategic view of risk Businesses have always been exposed to risk, and the obligation to manage it is nothing new. However, there is a growing concern among business leaders that they are exposed to strategic risks that threaten the very existence of their company. 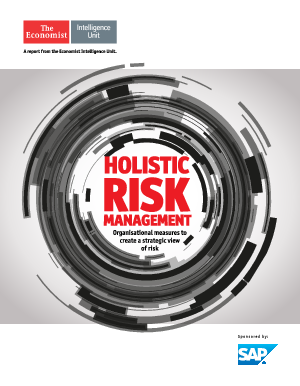 Holistic risk management, written by The Economist Intelligence Unit and sponsored by SAP, investigates the organisational measures companies must take to address the totality of the risks they face. The report is based on interviews with executives and experts.